Honey-Do-Men Gutters, Roofing & Handyman Services creates customers for life, and we do so by providing upstanding service at an affordable price. Every roofing customer of Honey-Do-Men has the opportunity to meet the owner of our company because we believe in promoting customer communication and satisfaction. We offer our roofing clients free estimates and inspections to ensure that the job is done right before the customer pays. The roofing services offered at Honey-Do-Men Gutters, Roofing & Handyman Services are always completed by a skilled and courteous crew. We can ensure that your roof is installed correctly and to your satisfaction. Not only is quality and longevity a top priority for each and every roofing project that we handle—so is safety. That is why we only use the very best material from the most trusted manufacturers when installing our roofs. That way, you and your family can rest assured that your home is protected by a roof that was specifically constructed to maintain the highest possible integrity for years to come. Our commitment to quality and safety has made Honey-Do-Men a preferred vendor for GAF, a roofing company and supplier that has been providing communities with quality roofing for over 100 years. We’re proud of this recognition from GAF and continue to share their mission to provide top quality work for customers. When you work with Honey-Do-Men Gutters, Roofing & Handyman Services, you can be confident that you will be working with professionals who take your needs and aesthetic goals into account. Our team will make sure that your roof is installed correctly and that it meets your satisfaction. We proudly provide free estimates and inspections, warranties on all of our work, and complete site cleanup. Our roofing services include re-roofs and new construction projects. Each of our workers is licensed, insured, skilled, and courteous, and our team takes pride in the construction and completion of all projects. 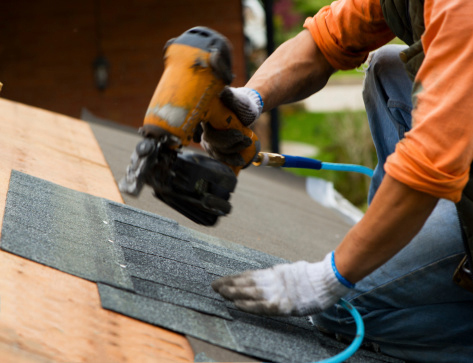 At Honey-Do-Men Gutters, Roofing & Handyman Services, we are pleased to offer quality roofing services to commercial clients in the Carmel area and surrounding communities of Putnam County. We have more than 15 years of experience providing outstanding work and craftsmanship to our clients and we may be able to help you as well. In addition to the beautiful residential roofing projects that we provide, we also offer quality commercial roofing services for businesses. Whether you are looking to re-roof or start a new construction project, do not hesitate to contact Honey-Do-Men Gutters, Roofing & Handyman Services today. Did you know that flat and rubber roofing are some of the most commonly used roofing materials in New England? That’s right! Rubber roofs are becoming increasingly popular in New York and they may be right for your home or business. At Honey-Do-Men Gutters, Roofing & Handyman Services, we will work with you to determine whether this cost-effective roofing solution may be right for you. When looking for a long-term roof solution, compare apples to apples. Liquid EPDM Rubber is a one-coat application. There are no primers needed, and when you begin adding up the cost of other systems that require primers and multiple coats, you are often exceeding the cost of liquid EPDM Rubber and have an inferior sealant on your roof. Why add unnecessary weight to a roof by using multiple-coat systems? Cut your time and labor costs in half with a one-coat system. Liquid EPDM has a very thick honey-like consistency and a slow cure time – one of the biggest benefits of the product. During the cure process, you will see bubbles resembling those created when you cook a pancake. This is the catalyst at work forcing the trapped air to the surface. What you have after the cure is a chemical bond between your roof and the coating. No other coatings produce this result. Other products trap this air making future cracks inevitable as temperatures change or expansion and contraction of the roof occur. The liquid version of EPDM is identical to the sheet version, but because it’s a liquid you will never need to worry about seams. Also the liquid version will not chalk like sheet EPDM does after 7-8 years. Unlike any elastomeric, acrylic or urethane – you can apply EPDM 3 times thicker. With only one coat needed, and no primers on most surfaces, you save product and labor costs. A true “Do-It-Yourself” product with over a 25 year history of success. We challenge you to compare any other product which will waterproof upon application. A light rain directly after application will not affect the material or its performance. Accelerated aging testing has proven EPDM Liquid Coating to outperform elastomerics & urethane 4 times longer. Liquid EPDM rubber is good for virtually any surfaces. Solar panels are a great way to generate your own clean, affordable energy. Attached to your residential or commercial roof, these panels essentially soak up the sun’s rays and use technology to convert this into energy. It’s the newest innovation for energy and it’s getting more affordable every day. Think of the savings you’ll have on your utility bills! Your home may qualify for FREE solar panels! Learn about clean, green renewable energy, how it works, and how you can save extra money from it. Call us for more information. The proper repair or installation of your roof is our goal at Honey-Do-Men Gutters, Roofing & Handyman Services. As the leading roofing contractor in Carmel and Putnam County, our reputation rides on every roof that we touch, which is why we promise to install your roof correctly and to your satisfaction. Our licensed and insured roofing contractors will not prolong services any longer than necessary, thus ensuring that your roofing job is completed as quickly and effectively as possible. More than 6,000 customers of Honey-Do-Men have expressed their satisfaction with the services provided to them. We invite you to see why. Contact us today for a free estimate and to learn more about the roofing services that we can provide for your home or business.